When searching for a home, especially in a busy area like Earlsfield, the process can seem daunting due to the high property prices and limited availability. Add to this the lack of time, energy and funds that most individuals have available to them, there is no doubt that compromises will often have to be made. Finding your perfect home in the desired location with the required amount of space can more often than not seem like an impossible task. Happily help is on hand from the roof conversion Earlsfield specialists, Berry Construction. There will be occasions when a property in the desired location has enough ground space to permit an extension, however, utilising this space won't always be an option since many homeowners in the city will be reluctant to forfeit what limited recreational space they have available to them. 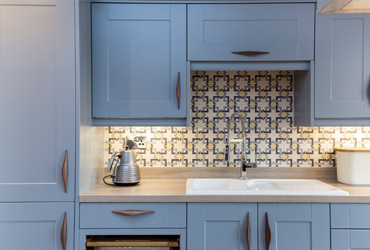 The need however for additional space within your home will more often than not be a necessity as opposed to desire and cannot therefore be ignored. 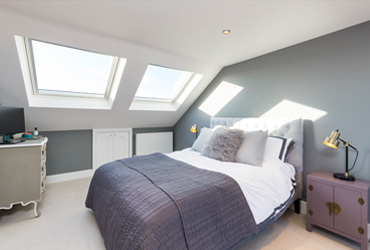 In order to obtain the required amount of space within your home, a very real option available to most householders will be the conversion of their unused roof space, which can provide an alternative and useful addition to your living space. Berry Construction provides the finest roof conversion Earlsfield has available and can advise you on all potential options available. Whilst your house might have been large enough for your needs when you moved in, over the course of time, certain factors such as starting a family might well have played a part in your current living space becoming somewhat limited. 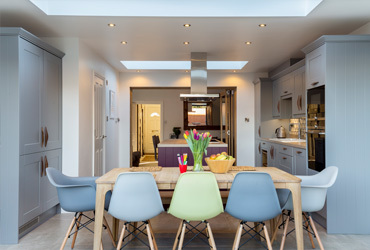 Starting all over again and searching for another home will quite simply not be an option for many families and a roof conversion is almost certainly one of the most beneficial methods available to you to obtain the best from your home. The possibilities for converted space are endless and whether you require an additional bedroom, home office, exercise room, hobby area or even a dedicated playroom for your children, your unused roof space might provide the answer to all of your space requirements. Dependent on the size of your roof area, it might even be quite possible to convert this into a separate living area, either for a family member or a tenant to provide a little extra income. Berry Construction provides a free, no-obligation advisory visit to discuss your needs and the possibilities available to you. Working with you every step of the way from the initial design stage, right through to the construction and finishing touches, we will keep you informed to ensure that the right choices are made to enable you to best use the space available to you. Some extensions are not possible for householders living in listed buildings or conservation areas ' however, roof conversions are often permitted because they do not alter the visual effect of the property and here at Berry Construction, we have the knowledge and expertise to determine what is or isn't possible and can advise you on any planning consents that may or may not be required. A roof conversion will transform your unused space into an attractive, useful living area that will become an integral part of your home. By choosing a trustworthy and reliable construction company, you will benefit from the wealth of their experience and expertise, not only improving your living conditions, but also adding substantial value to your home. Berry Construction provides the most superior roof conversion Earlsfield has to offer, giving our customers peace of mind and attention to detail that more often than not results in a conversion that exceeds your expectations and enables the home of your dreams to finally become a reality. Berry Construction dealt with the re-roofing of our period conversion in Fulham, in a very professional and well coordinated fashion. We are all very happy with the results. We would definitely recommend him to others. Dan organized support for our attic following the discovery we had an unsupported chimney. The work was carried out quickly and on budget, something that was very important to us as we were selling our property. I would happily recommend Dan and Berry Construction to anyone who is looking to get work done. I asked Berry Construction to provide us with a quote for some redecorating work in the house and painting the facade. Not only was their pricing competitive, but I was impressed with the knowledge and professionalism of the decorator. Dan and his team were helpful and communicative at every step in the process and found solutions that other companies had not. They completed the work to a high standard in a very impressive timeframe. Berry Construction will absolutely be my first port of call for any future home improvements.